At The Nth Degree we relish opportunity to seek out distinctive materials and production techniques that we don’t use on a regular basis. 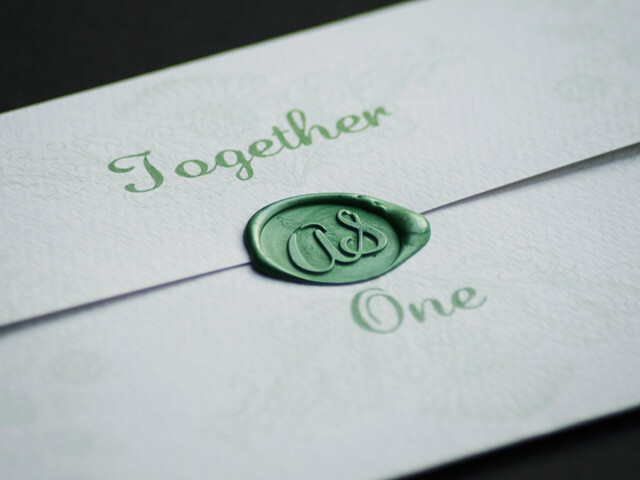 When we were asked to create wedding stationery, we knew it had to involve sealing wax and use a design that was very bespoke and avoid traditional wedding clichés. To complement the printed materials a website was also produced to allow guests to RSVP, view menus and venue information. 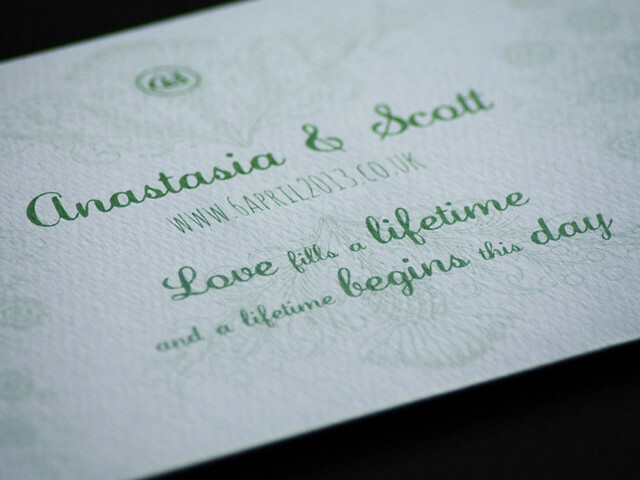 Fortunately, the bride and groom’s first name initials form the word ‘as’. This motif is used on the stamp and throughout the suite of stationery. 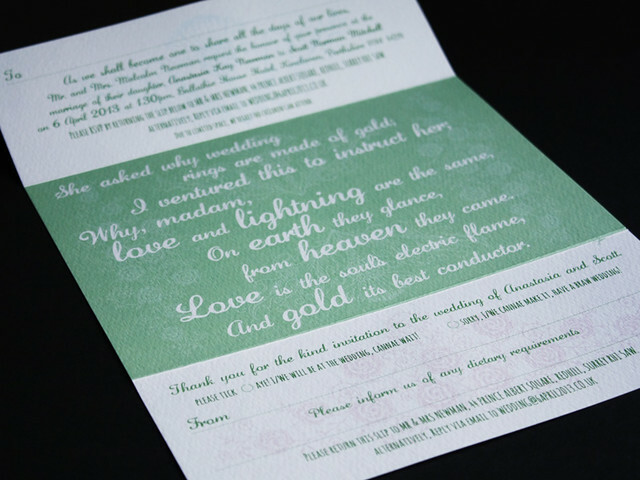 Since the groom is Scottish and the wedding takes place in Scotland, the invitation features a Robert Burns’ poem. The bride is English (groom Scottish) so roses and thistle illustrations are arranged to form the Scottish saltire (flag) since the wedding will be held in Perthshire, Scotland. 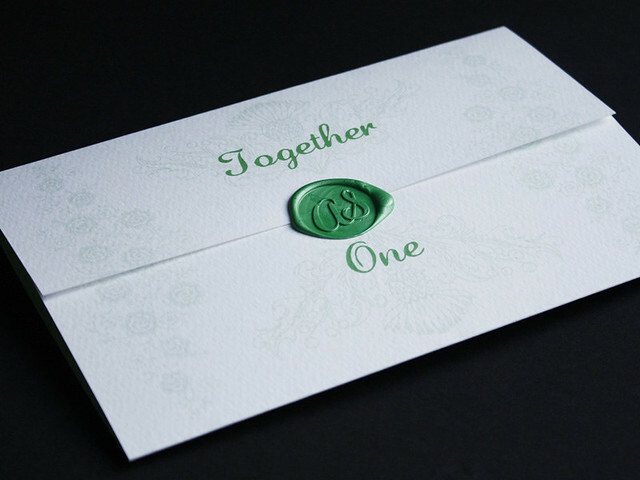 Table name and place cards will be produced using the same design and paper. 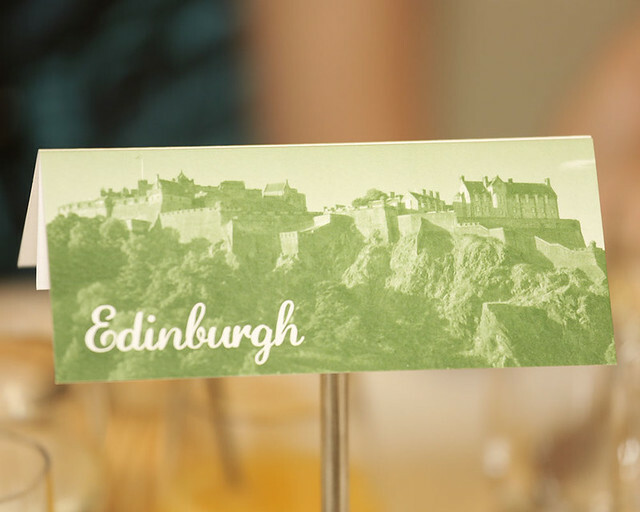 The table cards featured Scottish and English castles. 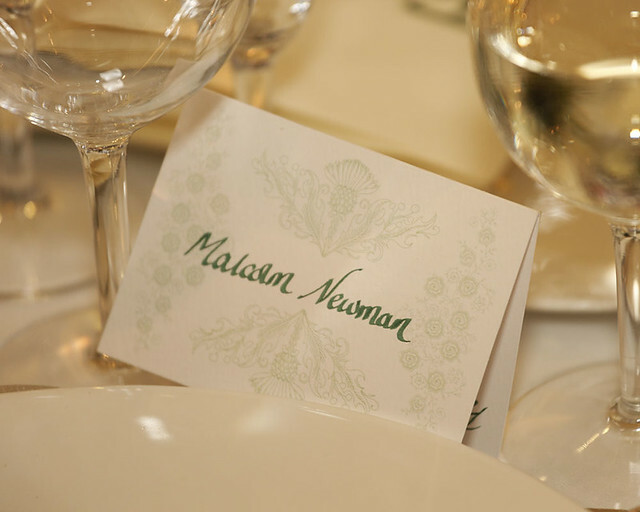 Table place card with Scottish Saltire motif. If you are interested in a similar package for your wedding please contact Steven Mitchell to discuss your requirements.